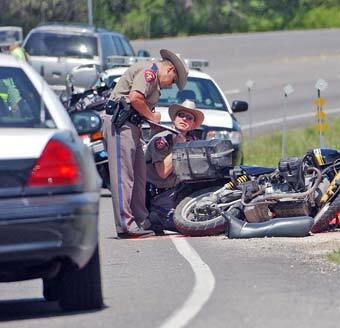 The Sacramento motorcycle accident lawyers at Riderz Law are, first and foremost, motorcycle riders themselves. If you or a loved one are injured in a motorcycle accident in Sacramento (or anywhere else in California) we are here to help you. But we mean it when we say that we hope you never need us. To promote motorcycle safety awareness and keep our clients and readers informed, we publish information on motorcycle laws, motorcycle safety and motorcycle accident statistics. According to the National Highway Traffic Safety Administration (NHTSA), motorcycle accident fatalities in California have increased in recent years. The NHTSA claims that this increase is due more motorcycles on the road, bigger engines, older riders, unlicensed riders, and riding while intoxicated, among other things. As motorcycle accident lawyers and motorcyclists who travel highways and roads in California nearly every day, we think the NHTSA ignored the biggest reason for motorcycle accidents: careless drivers. In many cases, the police officer investigating the accident simply assumes that the motorcyclist was at fault, without any basis, because of anti-motorcycle bias. We’ve had the pleasure of meeting (and in many cases, representing) many riders and club members from Sacramento. We are constantly updating this site to provide our Sacramento readers and clients with the most up-to-date information on all motorcycle-related things in the Sacramento area. If you have any questions or would like to contribute information for our site, please contact us. As always, if you or a loved one have had a motorcycle accident in Sacramento or outlying areas (including Davis, Florin, Elk Grove, Rancho Murieta, Woodland, Vacaville, Roseville, Folsom and everywhere in between) and would like to speak to one of our Sacramento motorcycle accident lawyers, please email or call our toll-free hotline.